I was so nervous about entering my first cake into the regular novelty cake class at cake international. 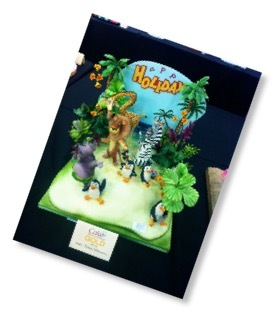 I have been visiting cake international for the last few years and have been blown away by the impeccable standard of the cakes on display, and the enormity of the whole event. 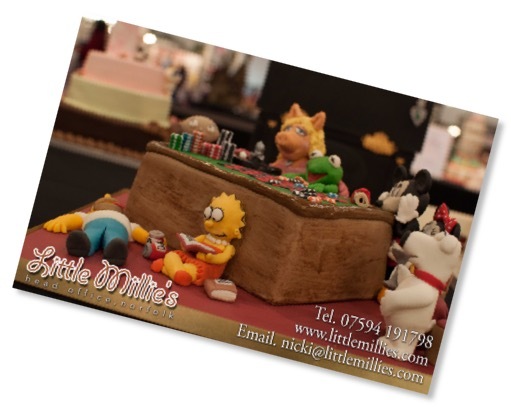 Everything from incredible cakes to amazing personalities of the cake industry all under one roof. 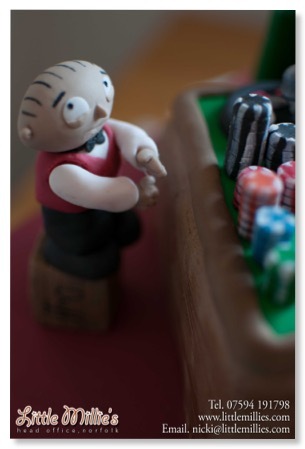 After a few glasses of wine my husband persuaded me to enter a cake into the next cake international show. 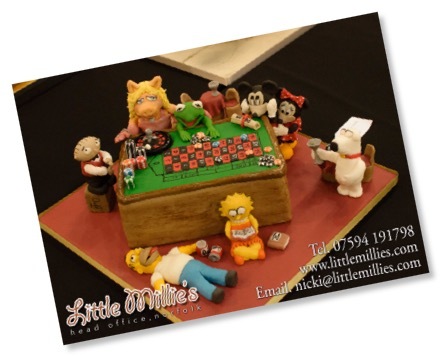 It took about 4 weeks to come up with an original idea, cartoon characters playing roulette, including Stewie Griffin as croupier, Brian Griffin eyeing up Miss Piggy who’s watching Kermit gamble his chips… Mickey Mouse is pushing in the deeds to Disney World as Minnie Mouse comforts him, whilst Homer has passed out from drinking too much Duff and Lisa Simpson is reading roulette for dummies…. I did leave it a bit late and created the whole thing in just 4 days as i had other orders that had to take priority (most people spend 3 weeks plus designing and creating their cake). The morning of the show was an early one.. i had to leave the house at 5am in order to get to London in time from Norwich. Due to traffic and having to drive extra carefully to protect my cake, i only just got there in time and was pretty stressed by the time i arrived! 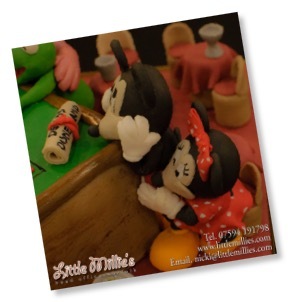 These cakes stood out to me for their incredible attention to detail and impeccable standard of workmanship, not to mention the hours involved in creating these masterpieces. 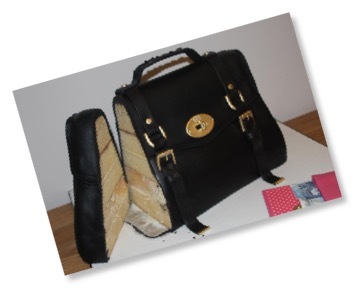 The outstanding mulberry handbag cake that won best in show was one of my favourites (i wouldn’t have believed it was a cake unless i’d have seen it cut open) if you created this cake please tell me how many hours of work this took?! 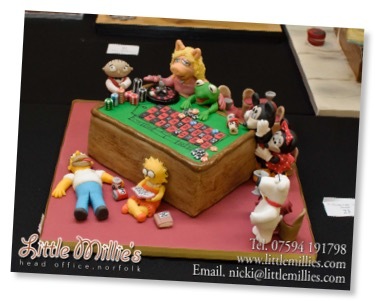 I wouldn’t have been at all surprised to have seen any of the other cakes above to win best in show or in fact many of the other amazing cakes that were entered into the competition as there was so much talent displayed at this show! 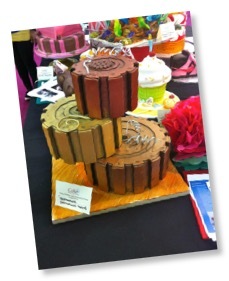 As for me i am overwhelmed at receiving a BRONZE for my cake... One of the biggest cake competitions in the world and i was up there with the best! I can’t wait for the next show where i shall be aiming for a silver award... best start thinking of ideas!